A familiar cyberattack suspect linked with the Russian intelligence service has resurfaced in the months leading up to the U.S. midterm elections, according to Microsoft. The tech giant announced overnight that last week it executed a court order to disrupt six fraudulent websites set up by a hacker group known by many names — most often APT28, but also Fancy Bear or Strontium, among others. As for Microsoft, the company announced new initiatives and new partnerships to prevent the kinds of attacks seen in 2016 from resurfacing. The company used its blog post announcing last week's court-ordered maneuver to introduce a new program called AccountGuard, which it says will provide "cybersecurity protection at no extra cost to all candidates and campaign offices at the federal, state and local level, as well as think tanks and political organizations we now believe are under attack." 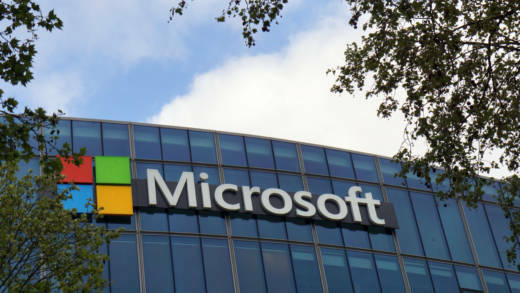 In an interview with KQED, The Washington Post's Dwoskin noted a contrast with Microsoft's counterparts in Silicon Valley. "It's kind of an interesting business play," she says. "[These new free cybersecurity protection services], made me think about Google and Gmail and how you haven't heard this kind of thing from Google, whose employees, we know, were protesting government contracts not too long ago. Ever since Microsoft's huge antitrust case in the '90s, they've tried to have a closer relationship with government than their Silicon Valley counterparts." Microsoft's Smith says Russian cyberattacks in 2016 "have been even broader than we first thought. That's across the tech sector, that's across this country."